It was back in May that I finished preparing the Octagon 9 Patch for quilting and July when I took it to Colleen. The child has returned and the quilting looks fabulous. There is something about not seeing a quilt for awhile that makes it that much nicer. Also, being almost finished is wonderful, too. Just gorgeous! I love the border. Thanks. Leftovers from the Russian Rubix. Original design. 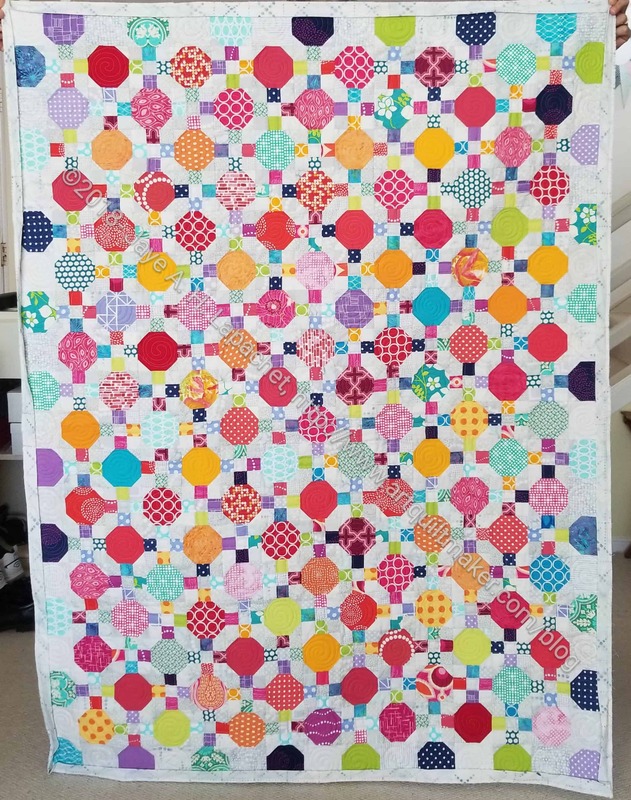 This is such a happy quilt! 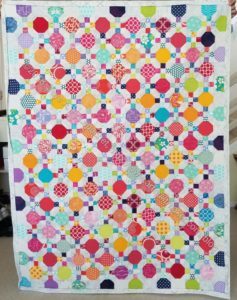 I like happy quilts! Thanks! I think the warm colors cheer it up. Perhaps the clarity of the colors?